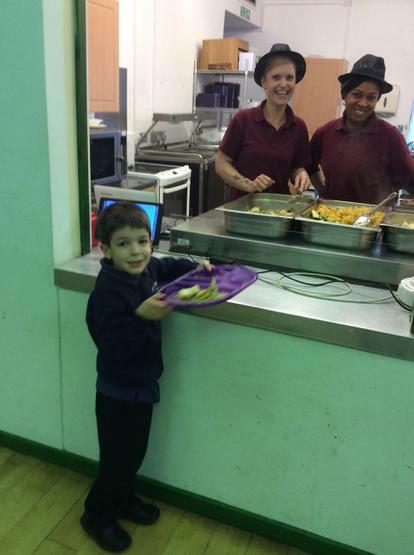 The new school meals are proving a real hit with our children. This young man went to tell the cooks that the pasta was lovely. We are very proud when children demonstrate the school values independently - in this case appreciation.